AirPura V600 is an upgraded AirPura air purifier with AirPura V600 special VOC adsorbent in the AirPura large filter canister to ensure fast and effective removal of VOCs and Specific chemicals in large areas up to 2000 sq. 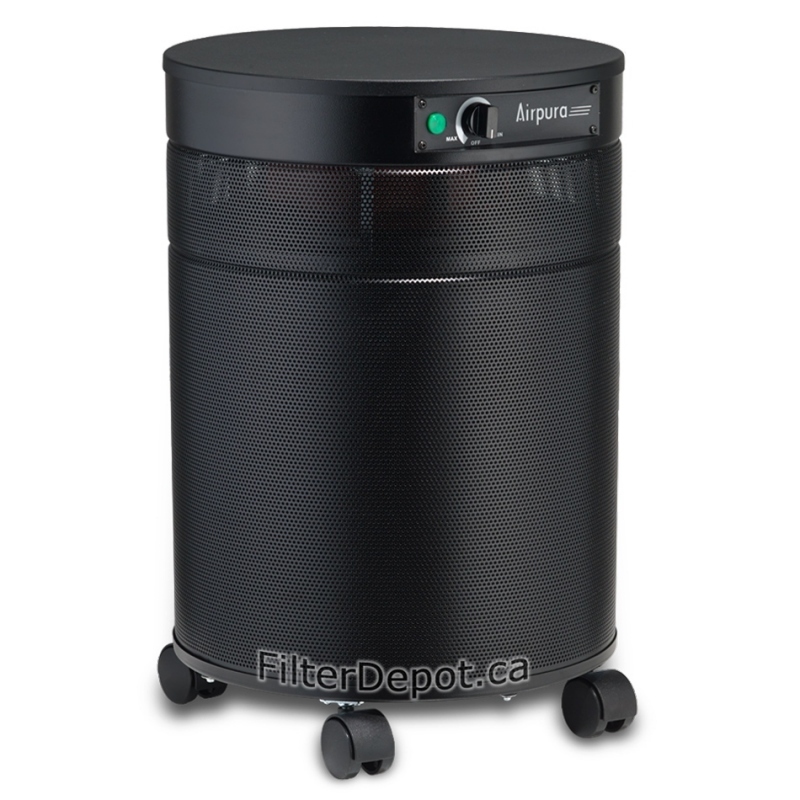 ft.
AirPura V600 features the High-Efficiency 3-Stage True HEPA and VOC Carbon Air Filtration system. The AirPura V600 specialty adsorbent helps get rid of VOCs, ammonia and other toxic chemical substances. 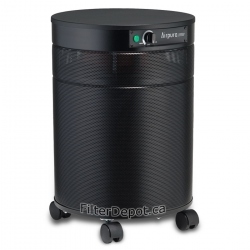 AirPura V600 is equipped with a powerful yet energy efficient and quiet motor/fan assembly. The AirPura V600 variable speed control allows to set the optimal air flow in all situations. AirPura V600 delivers an impressive air flow of 560 CFM and cleans effectively large areas up to 2000 sq. 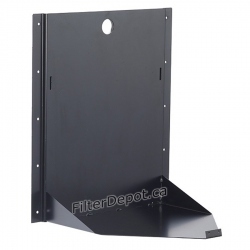 ft.
AirPura V600 features non off-gassing the all metal housing with durable baked on appliance finish coating. The AirPura V600 10-Year manufacturer's warranty gives the owners a peace of mind. AirPura V600 doesn't produces any Ozone and doesn't release any toxic off-gassing. AirPura V600 ships Free by Ground service in US and Canada with No US Sales Tax and No Border fees. AirPura V600 comes with 30-Day Money Back Satisfaction Guarantee Return policy (some conditions apply). AirPura V600 - When to Use ? AirPura V600 employs the same large 99.97% efficiency True HEPA filter that captures all microscopic airborne contaminants down to 0.3 micron in size to provides a superior level of protection from all microscopic dust and allergens, such as: mold spores, plant spores, pollen, house dust mites and debris, lung damaging dust, pet dander, bird feather dust, microscopic ash particles in cigarette smoke and smoke from wood burning stove, etc. The optional 99.99% efficiency Super HEPA filter can be used in the model AirPura V600 instead of the standard True HEPA filter to further improve the air filtration efficiency of the AirPura V600 in trapping sub-micron allergens and dust. The AirPura V600 equipped with the optional Super HEPA filter has a designated model number AirPura V614. AirPura V600 air purifier features large chemical and odor filter. It contains large amount (18 lbs.) 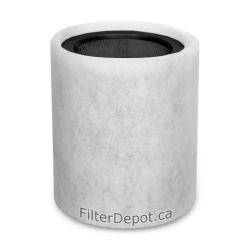 of AirPura specialty adsorbent in all metal filter canister. The activated granular carbon blend is specially formulated to provide an enhanced removal of VOCs, ammonia, formaldehyde and most other specific chemicals. 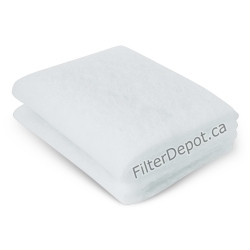 Standard Polyester based Pre-filter represents the first stage of the AirPura V600 air filtration system. 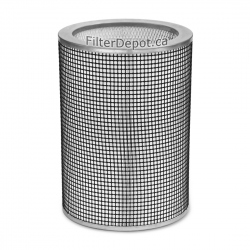 Thr Pre-filter effectively traps most of larger visible dust and dirt particles to provide protection to fine True HEPA filter from faster contamination and extend its lifetime. For customers, who are looking for added superior level of protection from airborne pathogens: microbes, bacteria, germs, fungi, etc. the AirPura V600 can be equipped with the optional High-output Germicidal UV Bulb. The Germicidal UV Bulb is the most effective and speedy way to sterilize the air from airborne pathogens. The AirPura V600 features top and bottom Felt Gaskets. 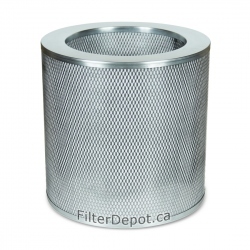 Felt gaskets pressure seal the filter chamber and eliminate polluted air by-pass for increased performance and the overall air filtration efficiency. 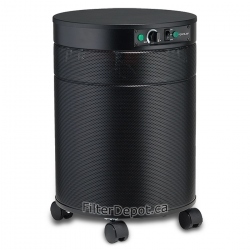 The use of felt gaskets instead of common closed-cell rubber gaskets helps eliminate toxic off-gassing from the air purifier. AirPura V600 Motor Fan Assembly. AirPura V600 employs the same powerful, yet energy efficient Motor/Fan unit with a variable speed control rated at 560 CFM. The variable speed control allows AirPura users to set the optimal air flow by selecting the speed setting that is the most suitable for any particular air cleaning application, the activity or a time of the day. The AirPura V600 one piece Motor/Fan assembly is factory balanced to ensure the vibration and noise-free operation. 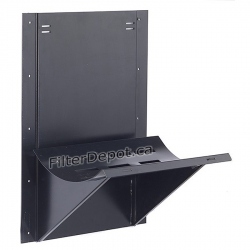 The compact design of a motor / fan unit allows for placement of larger filters and makes the unit more compact. The motor and the electric components are placed in AirPura V600's separate chamber at a top deck. This allows to make sure that clean air doesn't get in contact with the air purifier components and prevents its re-contamination. AirPura V600 Durable the All Metal Housing. AirPura V600 features the unified durable and impact resistant the all metal housing design. It doesn't produce any off-gassing and will retain its original appearance for many years. 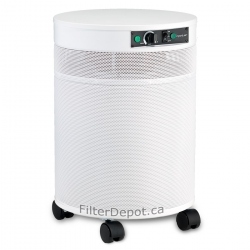 The AirPura V600's perforated 360° Polluted air intake and 320° Clean air outlet ensure unobstructed air flow through the air filtration system and improve the overall air purifier performance. To ensure high level of mobility, the AirPura V600 is equipped with four swivel Wheel Casters on the bottom panel. As all AirPura air purifiers, the AirPura V600 model comes with the most comprehensive limited manufacturer's warranty. Additional 5-Year warranty on Labor (the more expensive portion of the total repair cost). The Total duration of Manufacturer's Limited Warranty - 10 Years.